I am a business owner! That seem strange to say but it is true. Now to be completely transparent I have owned lots of businesses. 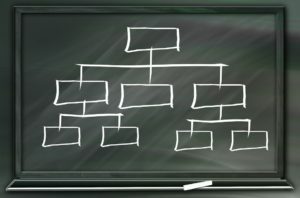 However they have all been multi-level marketing businesses. They are definitely legitimate businesses, but the best part about them is you can “own” your business without the hassles and headaches of actually “owning” your business. You don’t have to get a business license, or a zoning license, or deal with a board of directors or partners. You don’t have to figure out how to pay yourself, how to assess profit margins, or deal with product development or patents. You simply have to sign up, sell a product and receive a commission. So basically it is similar to being a salesperson at any commission based business. So while their are differences you still do have a customer base like a traditional business. But now I have a traditional business. I opened a mobile spa business this year! EEK, I was suddenly thrust into the world of inventory, buying equipment, overhead, licenses, taxes, and clients (customers). And even more than my Network Marketing businesses I WANT my clients to have success in their dealings with me and be happy. A happy customer is a returning customer. So that led me to learning more about customer success. What it is and what it means. I think the first thing to learn is how to be a Customer centric business. Once you have done that successfully your next focus should be how to onboard your customers well, so they have success when buying from you or using your services. Lincoln Murphy, a well known customer success consultant defines successful onboarding in this way: “The way that I define onboarded is this: The user or the customer, depending on what you’re measuring, is either getting value from their use of the product or the consumption of your service, or, for the first time outside of sales and marketing, they see the value potential in their relationship with you.” That is what business owners should ultimately want (in my opinion). Customers that are gaining a value from your product or service and seeing a value in a continued relationship with your company, service or product. It is not of value to say that just because a customer has been with you and in your system for x amount of time they have been successfully onboarded. If they don’t find a value with your company they will move on to another. Consumers can be fickle and you want to keep them as a customer of your business, not moving on to another one. 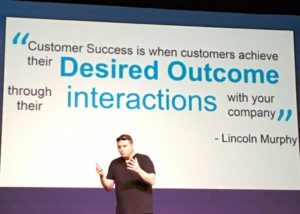 With this viewpoint in mind, customer success is VITAL! After all, according to User IQ, “Acquiring new customers is up to 25 times more expensive than retaining existing ones.” So business owners need to focus on retaining the customers they already have. User IQ has an answer for you! This article about customer success explains what customer success is, why it is important, how to develop a customer success strategy, and more! As a new business owner who is actively cultivating clientele for my business this is very important information for me. I also think the information in the User IQ article can help all business owners improve their customer success and therefore customer retention and sales! Definitely check it out! Taking care of your business is important to ensure it stays maintained. This is very obvious. However, how often do you consider the fact that to some extent, you are your firm? Do you hold yourself in as high regard as your operation? If not, why not? Remember that in the early days, you are likely the management and creative lead in the entire premises, so without you, things could deteriorate very quickly. Maintaining your health is important if you ever hope to craft a business worth of envy. However, the life of a business leader is not known for being the most comfortable, at least in the early days when day to day success is crucial. This article will be focused on how to maintain yourself, so you can come back to work with an excellent outlook and continual vitality. Issues can often occur to embarrass you as you start getting on in years. This might be incontinence, an overactive bladder, or many other dermatological, perspiratory, or many other issues that could influence your stature in the office. Are you to blame for these problems? Of course not, they surface without warning and can be harmful to manage, at least for your confidence. However, visiting a professional urology clinic, or heading to the required specialist can immediately improve your situation, and allow you to focus on methods to manage or resolve the problem. With one fell swoop, you can lessen the emotional and mental burden of dealing with a problem like this, when you have so many others to take care of from a financial perspective. Managing your stress is essential as a business leader. There are a million things you must think about in a day, and if you do not maintain yourself your thought patterns can become frayed, and this might impact your sleep. Be sure to meditate, read when you can, take mental breaks from your work, and try to reduce your tendency to worry. Put things into perspective. This will help you lessen your reactive output and instead become more of a calm and composed thinker, navigating the waters of your industry with a degree of finesse and care. Over time, this should translate to help you enjoy the long-term responsibilities you face, instead of worrying about them at every term. After all, there’s absolutely a difference between an obstacle and a challenge. Consider the personal implements you need to work well. It might be that you type often while running a set of websites, or you need your hearing for high-value audio production. While maintaining your health in the usual, responsible ways, an added measure could be to insure the tools that help you complete your job, such as your sense of hearing or your hands. If the worst was to happen and you lost out on their function, these insurances can guarantee you a form of compensation to either readjust your business output or to transition to something new. With these simple efforts, managing your health as a functional business leader is sure to be supported, and issues are sure to be compensated.